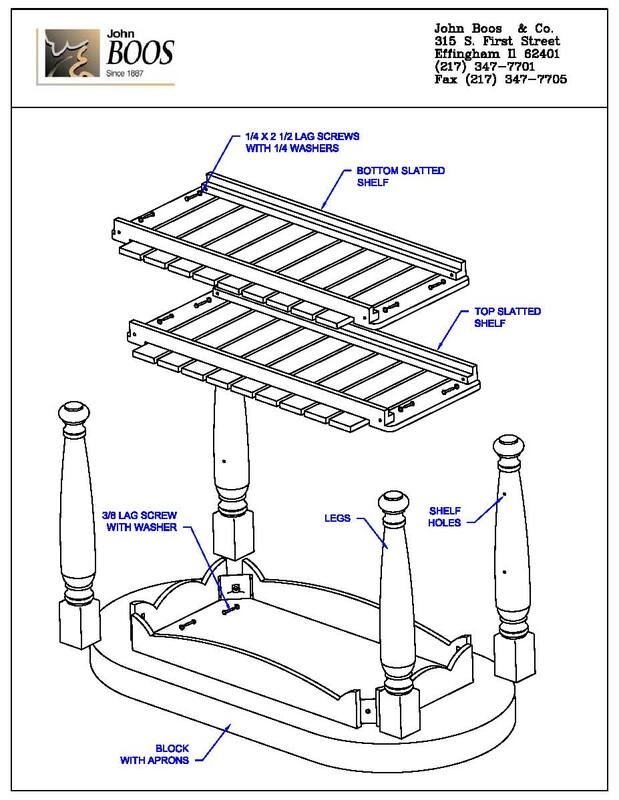 Note: Some assembly (page 2) is required. Legs and shelf/shelves must be attached. Wood samples showing base color options are available for purchase ($2, plus $10 S&H on orders under $75). John Boos’ Harvest kitchen island table in American Black Walnut makes a stunning and practical addition to any kitchen. It can function as a beautiful prep and serving table, of course. You’ll love laying out a buffet for your family or hors d’oeuvre to party guests on this gorgeous block. It’s 4 inches thick, oval-shaped and spacious, measuring 60 inches in length and 30 inches in width/depth. Black Walnut is the darkest of North American hardwoods, and the most striking, blending tans and creams with medium to dark browns. To keep the block well-protected and looking great, it’s bathed in Boos Block Board Cream that contains natural beeswax. You’ll need to moisturize it monthly using either butcher block oil or board cream, which you might want to add to your cart. Because this block is end-grain style, it shows off the walnut tree’s grain patterns in thousands of small rectangles that come together to create a hypnotic, checkerboard tapestry. Not only is the end-grain look fascinating, it also provides an ultra-resilient cutting surface, making it an excellent kitchen work table. Those small rectangles are the sawed ends (hence the term, END-grain) of short strips of walnut wood. As such, they are incredibly fibrous, allowing them to absorb sharp blades without appearing worse for the wear, and without prematurely dulling the blades. That’s why professional chefs prefer end-grain butcher blocks. 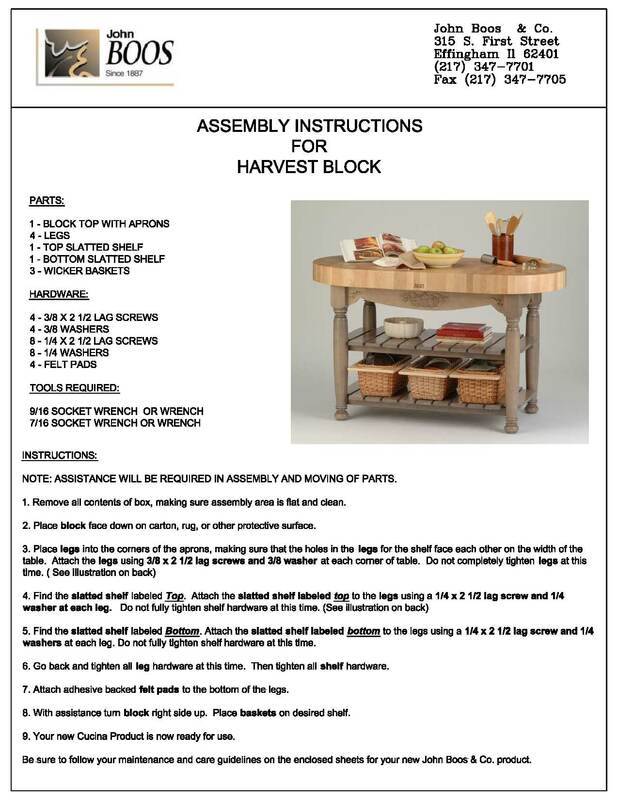 The apron, legs and both shelves of this beautiful island table are made of hardwood. 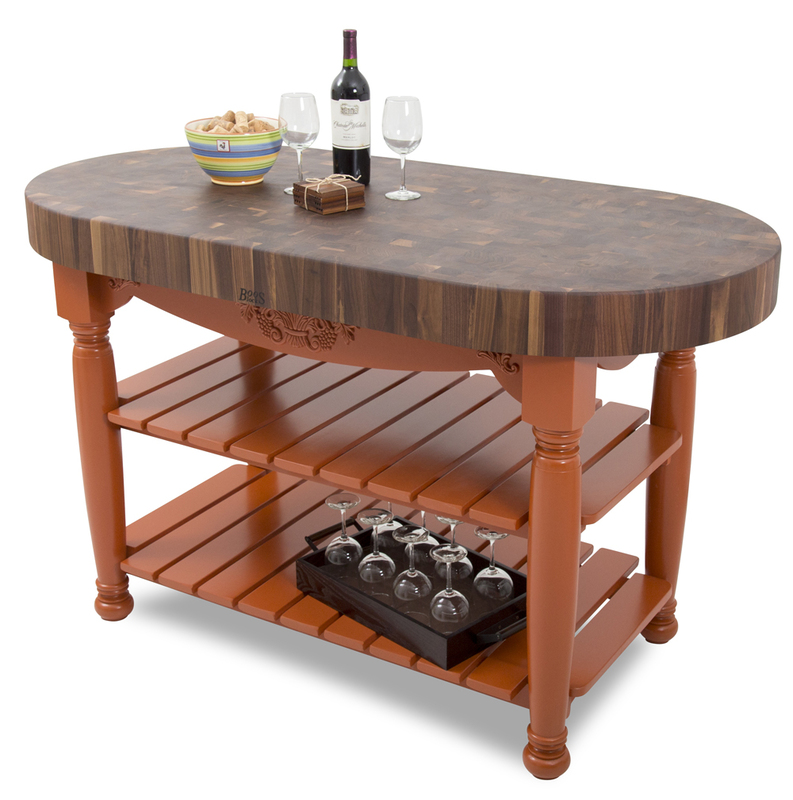 Choose a finish for the table’s base that either complements or accents your existing décor. Options include natural maple, as well as various stain and paint colors. Your next dilemma will involve deciding whether to show off your color choice or to use the slatted shelves for storing cookware, dinnerware or other kitchen essentials. If you prefer, you can hide away kitchen tools and small appliances such as an electric carving knife in any of the three wicker baskets that come included with purchase.